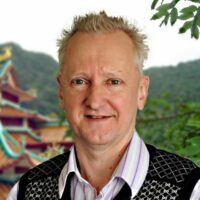 John Black is as rare as hens teeth, as he is one of few westerners from New Zealand who has studied traditional Chinese medicine full time in a Chinese university. Before going to live and study in China he learnt mandarin at Victoria University in Wellington. After spending many years in Shandong at the University of TCM, he moved back to Nelson, New Zealand where he has spent more than 20 years in private practice. John has presented seminars and workshops on a number of occasions at the New Zealand Register of Acupuncturists annual conferences. John Black can be contacted here. In 2012, he was awarded a guest professorship by Shandong Academy of Medical Sciences, a research and teaching institute affiliated to the medical university where he had studied. This article by John Black came about as a response to an article attacking Complementary and Alternative Medicines which was published in the July 2012 edition of North and South. On the cover it said “Do you Believe in Magic – the Truth About Complementary and Alternative Medicines”. Unfortunately, Virginia Larson, the editor had no interest in publishing it. When the words on the cover proclaim “the truth about alternative medicines” (July) it behoves the doctors involved in the article to keep to the truth, and not present half truths, vague generalisations, or ignore facts that contradict their arguments, both about alternative and modern medicines. Unfortunately they failed us in all these respects. Dr Lynda Exton tells us that “natural” does not necessarily equate with safe or effective. She cites various cases where natural medicines have caused injury or death. Every case is tragic, but these are far and few between compared to those caused by conventional western medicine. Dr Exton explains the rigorous procedures involved in testing modern medicines. It should be noted however that these trials are carried out by the pharmaceutical companies themselves, often without scrutiny from an independent party. Some have gone to the the most poverty stricken African or Asian countries to test their drugs on people too uneducated to understand the risks they are taking, for extremely small payments. Bruce Lipton, formerly professor of cell biology at University of Wisconsin School of Medicine, latterly research scientist at Stanford University School of Medicine is one of the world’s leading authorities on the response of cells to energetic stimuli. In his book “The Biology of Belief”,* he reports iatrogenic (medically induced) illness as the leading cause of death in the USA with adverse reactions to drugs being responsible for more than 300,000 deaths a year – equivalent to three 747s crashing every two days. These are from properly taken, properly prescribed medicines. As he says: “These are dismaying statistics, especially for a healing profession that has arrogantly dismissed three thousand years of Eastern medicine as unscientific, even though it is based on a deeper understanding of the universe. For thousands of years, long before Western scientists discovered the laws of quantum physics, Asians have honoured energy as the principal factor contributing to health and well being.” He goes on to say: “As admiring as I am of the ancient wisdom of eastern medicine, I do not want to bash Western doctors who prescribe massive quantities of drugs that contribute to the health profession’s lethality. Medical doctors are caught between an intellectual rock and a corporate hard place; they are pawns in the huge medical industrial complex. Their healing abilities are hobbled by an archaic medical education founded on a Newtonian matter only universe. Unfortunately, that philosophy went out of vogue seventy-five years ago, when physicists officially adopted quantum mechanics and recognized that the universe is actually made out of energy. After hailing the testing procedures used on modern medicines Dr Exton goes on to say “On the other hand, you have alternative medicine practitioners promising amazing results…..” As a practitioner of Traditional Chinese Medicine I have certainly never promised anything, nor have any of the various alternative practitioners I know, or have consulted ever made promises of a cure, amazing or otherwise. Describing a cure as “amazing” is the prerogative of the patient after treatment, should they feel so, and many do. It is true, as Dr Exton says, that a popular claim for alternative therapies is they “treat the cause of the problem and the whole person but conventional medicine only treats the symptoms.” She struggles with this, citing life-saving conventional treatments for serious acute conditions. Few would question the achievements of modern medicine in emergency cases. But the “popular claim” above is made mainly in reference to many unpleasant chronic conditions for which it certainly does hold true. Menstrual pain, heavy, irregular menstruation and related problems are conventionally treated with the pill; if the patient stops taking the pill the condition usually recurs. Provided there are no underlying, more complicated pathologies such as endometriosis, polycystic ovaries, etc, for which the pill doesn’t help anyway, a course of acupuncture will very often bring about a long term or permanent solution to the problem. So which treats the cause and which treats the symptoms? The same can be said for many dermatological conditions I have treated which had previously been masked with steroid creams, or worse by taking steroids internally, or immunosuppressant drugs that have caused kidney and liver damage, with the skin problems running wild as soon as the drugs are stopped. Of course some herbal remedies may cause undesirable reactions in some people but Dr Exton’s claim that virtually all herbal remedies have been found to cause allergic reactions is absolute nonsense. I have been prescribing Chinese herbal decoctions, typically containing eight to twelve herbs, for eighteen years with the very occasional adverse reaction such as nausea – most often attributable to the taste, or loose stools. The case of the slimming clinic in Belgium which caused renal failure in a number of women used a cocktail of diuretics including two Chinese herbs, prescribed by a completely unqualified practitioner with a “one shoe fits all” approach which is completely against Chinese medical principles, and of course, fraudulent, as diuretics would cause only very short term weight loss. One of the herbs used – mutong – is known by Chinese doctors to be dangerous in large doses, yet is used very successfully to treat potentially serious kidney disorders when prescribed in the right combinations by qualified traditional Chinese Doctors. Where did Dr Exton get her figure that only 18 per cent of Mainland Chinese now use traditional medicines? It is true that many young Chinese believe everything western and modern has got to be better. Thus despite such a wonderful tradition of cuisine, demand for American style fast food is enormous. Young modern Chinese are also in a hurry, but acupuncture and the preparation of Chinese herbs both take time, and for many of these people, pill popping is more convenient. Dr Exton no doubt believes that the almost astronomical increase in demand for baby formula in China is evidence of its superiority over breast milk, and further evidence of the superiority of modern western science over traditional wisdom, and that which is natural. And of course breast milk has never been subjected to randomised, double blind testing. There have been massive increases in allergic conditions, type 1 and 2 diabetes, many kinds of cancers and other serious disorders that only twenty years ago were relatively rare in China. These are directly attributable to adoption of the western diet and overuse of western medical pharmaceuticals. Dr Exton says that many alternative treatments are much more expensive than an effective prescription medicine. In some cases this is probably true. Other than those alternative therapies such as acupuncture and osteopathy that are available on ACC, visits to alternative practitioners, herbal medicines are not subsidised by the state as are prescription medicines and GP visits . In fact GPs in New Zealand receive monthly payments from the state for every patient enrolled with them whether the patient consults with them or not. An hour spent with a patient is common practice for practitioners such as myself – 4 to 12 times longer than most GP consultations but we don’t charge 4 to 12 times as much. Unlike conventional medical doctors, alternative practitioners do not get invited on all expense paid trips by pharmaceutical companies to plush resorts to be introduced to the latest drugs. 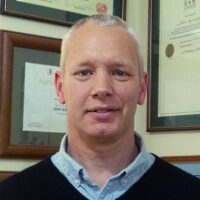 Dr Shaun Holt acknowledges the communication skills and longer time spent with patients by homeopaths, which I believe would be true of most CAM therapists, saying “In the busy health system some doctors don’t have the time or skills for this” Why don’t they have the time? Could it be anything to do with money? The extra time spent with patients is not just a public relations exercise. I am constantly amazed how often GPs just want to hear the main symptom, write out a prescription and send the patients on their way without ever finding out the cause of the problem. A typical case was an eight month old baby I saw that screamed all night, and had been doing so for several months, not allowing the parents a decent sleep. The doctor’s suggestion was to shut the child in a room on the other side of the house and shut all the doors between the two bedrooms, or alternatively to sedate the child. The mother was not impressed with either option. If the child is screaming all night there has to be a reason, and if left to scream all night they would have ended up with a severely disturbed child. If the parents sedated the child and had their first good night’s sleep for a long time, the temptation to go on sedating the child would be very strong, but this could very likely start the child on a lifelong dependency on drugs. I asked a number of questions as I always do – when I asked about bowel motions, it turned out that the child passed a very solid motion with a great deal of difficulty about once every eight days. It seemed very likely that this would be the source of his distress. I then asked what she was feeding him on. Among other things she was giving him cheese. I told her about the constipating effect of cheese on children and explained that a child of this age could not digest cheese anyway. I also explained that giving a baby a food its digestive system couldn’t handle, in Chinese medical understanding, could damage the digestive tract which in turn could set him up for food allergies. She said she would stop feeding him cheese, and I treated him with Chinese medical paediatric massage to help the bowel motions. He started have normal soft daily bowel motions and the sleep problem was thus simply resolved. I discussed this case with a GP friend and asked him why it hadn’t occurred to the child’s GP that the constipation might be the cause of the disturbed sleep. His response was “He probably didn’t realise the child was constipated.” I pointed out that this information wasn’t offered to me. I found it out because I had asked, as any TCM practitioner would do. If you don’t take time to ask questions you are not going to find the cause of the condition. However as soon as I learned of the constipation I asked the mother if she had told the GP of this. She said that earlier she had taken the child to the doctor specifically about the constipation, and that his advice was to give him kiwifruit and prunes. Yet he didn’t ask what she had been feeding him on. Surely if someone has a problem with their digestive system, the first thing you find out is what they are putting in it. Again and again, when I ask questions of a patient and find that they have other issues that give clues as to the cause of the one they are consulting me about, and that they have come to me because the medication they have been prescribed is only suppressing the problem, and often causing side effects, I ask them: Did you tell your GP about this?…To which they typically respond: “I tried, only to be told: “If you want to discuss another problem, make another appointment.” I don’t wish to suggest that all doctors are like this, but it happens often enough to be cause for serious concern. Dr Shaun Holt says with regard to sympathy and communication “…….let’s learn that’s what patients want and try to bring that sympathy and communication back into medicine.” Great if doctors would pay something more than lip service to this advice, but much more is needed. Sensible and logical questioning as well as good advice on diet and lifestyle would greatly reduce our dependency on drugs, and contribute to a much healthier society. But this all takes time and how many doctors are willing to give this time to their patients? I know of people with irritable bowel, ulcerative colitis etc who have been told: “You don’t need to change your diet, we’ll manage it with steroids” This is not a healthcare system, it is a sick care system. And one of the sickest recent trends is that of giving babies proton pump inhibitors to reduce stomach acid. This is another example of drugging a child without finding out what is causing the problem, and seems to me to be verging on criminal negligence. It is absurd that after thousands of years of careful observation and testing by traditional Chinese doctors, the evidence of the effects of Chinese medicine is still described as anecdotal, and unscientific. China was manufacturing paper 1,500 years before Europe, they invented a printing press with moveable type about 500 years before Europe, they were the first to use the magnetic compass and invented the suspension bridge, the segmented arch bridge, (the first one built in 610 AD is still in use), gunpowder, the world’s first mechanical clock, they were the first sailors to use the steering rudder on ships, the first to invent cast iron, and steel…. the list goes on and on. It doesn’t make sense that a society that was so highly developed in so many ways would have a backward form of medicine. Western medicine discovered about 150 years ago that iodine could be used to treat goitre. Chinese doctors more than 3,000 years ago were already prescribing kelp seaweed which is high in iodine to treat and prevent goitre. The drug ephedrine is used in Western medicine to control asthma. It can usually stop an asthma attack quite quickly but it gives the adrenals quite a kick and makes the heart race, which can be dangerous for someone with high blood pressure. The Chinese herb ephedra from which ephedrine is derived has been used by Chinese doctors for nearly 2,000 years to treat asthma. Its effects on asthma are slower but the side effects are much less because there are other ingredients that have a counterbalancing effect. This is very often the way… western pharmaceutical companies have analysed many Chinese herbs and chemically isolated the so called “active ingredients” at the expense of other ingredients that play a moderating role. Furthermore Chinese herbs are rarely administered singly, but given in combination with other herbs that have been observed over millennia to work synergistically with each other so that a powerful curative effect can be attained with a very low risk of side effects because the patient does not receive a large dose of any one herb. Some will still try and dismiss this accumulation of medical knowledge as unscientific, as in your editorial. Apparently they are not aware that in Mainland China there are whole universities devoted to traditional Chinese medicine. As with any university, they not only teach, their Masters and PhD students carry out research projects into Chinese herbs and acupuncture. There are also state owned research institutes totally devoted to modern scientific research into Chinese herbal medicine and acupuncture. It is true that, just as there are disreputable manufacturers of food products in China, there are also disreputable manufacturers of medicinal products. These, of course, do much harm to the reputation of Chinese medicine. A qualified Chinese medical practitioner should know which brands are reliable, and would also be able to prescribe for the individual. A vendor in an Asian market will not necessarily know which brands are safe, and this is where the risk usually lies. It is interesting how when an improvement results from an alternative treatment, it is put down as a placebo effect. The placebo effect is certainly real, but read any explanation of it and it will tell you the effects are for subjective symptoms only, and are short lived. Implicit in this is a belief in the effectiveness of the treatment. However a very large number of people who try alternative treatment do so not because they have any great faith in what we do, but because nothing else has worked for them; often it is the last box to tick before giving up. Yet they so often are the ones who have major improvements, and only then do they start to take alternative treatments seriously. Furthermore there are many conditions such as hypothyroidism and hyperthyroidism which often respond very well to acupuncture or Chinese herbal medicine and the results are directly measurable by blood tests. Typically such conditions require several months of treatment, as opposed to a lifelong course of hormonal treatment. I do not practise homeopathy, nor do I claim to understand it any more than I, and probably most members of the skeptic society, can claim to understand quantum physics. But the section on homeopathy has several facts completely wrong. Firstly, the succussion process is not merely done at the end of many dilutions as stated. It is done at each step of the dilution, with distilled water or purified alcohol being used. This is an important distinction if there is anything to the claim that the energetic imprint of the particular substance strengthens with each dilution. Skeptics such as scientist Vicki Hyde, Dr Shaun Holt and editor Virginnia Larson rubbish this concept as scientific nonsense, and I would agree that it is totally counterintuitive. However in endeavoring to make sense of this concept myself a number of years ago I read a number of articles written by homeopaths as well as attending public introductions to homeopathy. Never, contrary to Vicki Hyde’s assertion, was any secret ever made of the dilution process and its claimed effect of increasing the potency. That aside, can any of the above skeptics explain another counterintuitive phenomenon that is absolutely real, but which has physicists completely baffled? That hot water freezes faster than cold water – within certain temperature constraints – water at 1 degree will certainly freeze faster that water at 99 degrees, but nevertheless within quite a large temperature disparity, the phenomenon does occur. ****** Recently an American astrophysicist interviewed by Kim Hill told us that even empty space has its own gravitational pull, though no one knows why. He also said that the universe is bent, that light travels through it in a curve. What is antimatter, and how do matter and antimatter cancel each other out? The late Carl Sagan, Nasa scientist and professor of Cornell University in his Cosmos series, broadcast on TV in New Zealand in the 1980s said that space is four dimensional, but now scientists are arguing that it is multidimensional. How many of us can make sense of the concept that traveling at high speeds through space, time would slow down relative to that on earth. Some of the above examples are proven facts but not yet explainable. The latter three are understood by physicists but extremely difficult for most of us to make sense of, just as it was once hard for people to believe the world was round. They were simply the skeptics from a few hundred years ago. Kurt Geckler and Shashadhar Samal discovered a whole new dimension to one of the simplest of chemical reactions: that of dissolving a substance in water and then diluting it further. What they observed was an interesting revelation of how of scientists can make very basic assumptions without ever putting them to the test. It had always been assumed that dissolved molecules spread further apart as a solution is diluted. However they found that some do the opposite: they clump together, as clusters of those molecules, and then as bigger aggregates of those clusters. While this discovery on its own does not prove that homeopathics can treat disease, it should be a wake up call for those who claim that increased dilution resulting in increased potency is scientific nonsense. For those who dismiss homeopathic medicines as having only a placebo effect they should talk to the many dairy farmers who have excellent results using it to treat mastitis. Presumably the cows don’t have to believe in homeopathy to be cured. For the farmer, it is a highly cost effective way of treating a condition that would otherwise require antibiotics, and for the milk to be dumped while the cow is being administered with antibiotics. Where does all of the above leave us in the CAM vs modern medicine debate? The article in North and South cites examples of CAM practitioners giving bad advice and sometimes bad medicine with disastrous results. Look at the figures though, and thalidomide, while the most visible of modern medical disasters, was hardly a one off. Its featuring in the same edition of North and South, although commendable, hardly offsets the gross generalisations and half truths presented as “the truth about alternative medicine”. Editor Virginia Larson said that she expected a barrage from alternative practitioners. I would expect a bigger barrage from those who have suffered liver and kidney damage and other side effects from prescription medicines, as well as from those whose chronic conditions have been turned around by natural medicines. But despite the tone of the article, modern western medicine and CAM do not need to be, and should not be, pitted against each other. We should be making use of the best of each, and that requires collaboration between practitioners of different modalities. Although I have some strong criticisms of some aspects of western medicine I still have much respect for it. There have certainly been times when I was grateful for antibiotics. Having had a full meniscectomy for a torn cartilage on one knee at age 13, and keyhole surgery for a similar problem on the other knee at age 58, I can vouch for the progress made in my lifetime in both surgical technique and anaesthesia. Similarly, I have a very good rapport with many conventional doctors. In the nearly 18 years I have been in practice I have treated about 30, including two specialists, and I continue to receive many referrals from them and other doctors. There are some specialists though who totally deny that my treatment could have anything to do with the result, even when there is no other explanation, sometimes for conditions that they had declared incurable. There are many conditions where western medical intervention can be lifesaving. There are many chronic and distressing conditions that alternative medicines can treat far more effectively and safely than modern medicine can. Attacks of this kind that tar all alternative medicines and alternative practitioners with the same brush are uninformed and unhelpful. There are good and bad practitioners of alternative medicine, just as there are good and bad medical doctors. Most therapists belong to professional bodies who have a regulatory role, and any receiver of a particular therapy who feels that the conduct of the therapist has been unprofessional, can seek redress through these organisations. No one form of medicine has all the answers, and any treatment which helps without harming the patient should be supported.